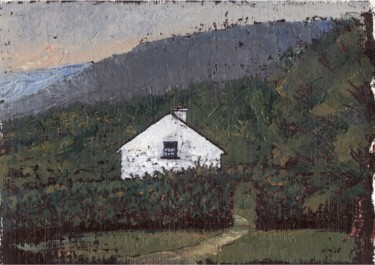 'Peaceful Cottage near Killarney' is an oil on paper that I painted while spending a few days away in early May 2015 in the beautiful Black Valley in Margaret's cottage near the church. We've been visiting Killarney now for over 30 years and we still haven't visited it all. Really beautiful landscape and really friendly people in the Black Valley. The painting won The Purcell Gallery Award for me at the Carnegie Arts Centre in 2015. 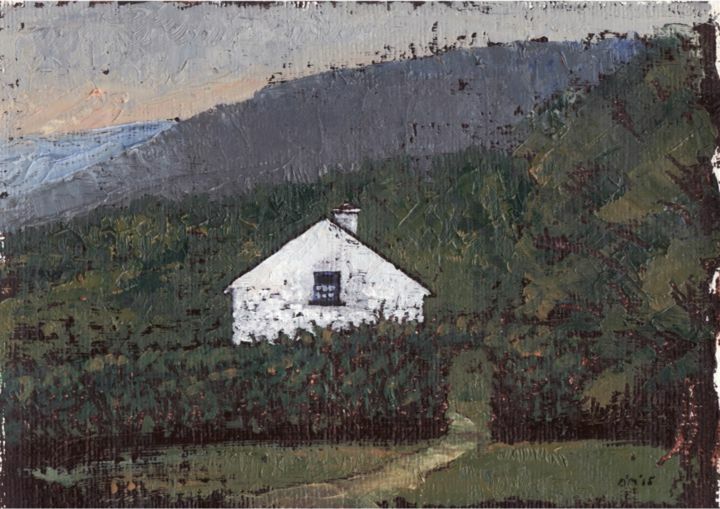 A set of limited edition prints, signed and stamped by the artist, is available; email the artist (see contact details in Biography) for full details.